(VEN) - As of the end of June, the consumer price index (CPI) almost reached the four-percent growth limit set by the national assembly for 2018. Economists say efficient price management is the only solution to control CPI growth. According to the General Statistics Office of Vietnam (GSO), the CPI grew at an average monthly rate of 0.37 percent in the first half of this year, much higher than the 0.03 percent growth in the first half of 2017. The CPI rose 2.65 percent in January and 4.67 percent in June, the highest level over the past seven years. The CPI in the first half of 2018 increased 3.29 percent over the same period last year. 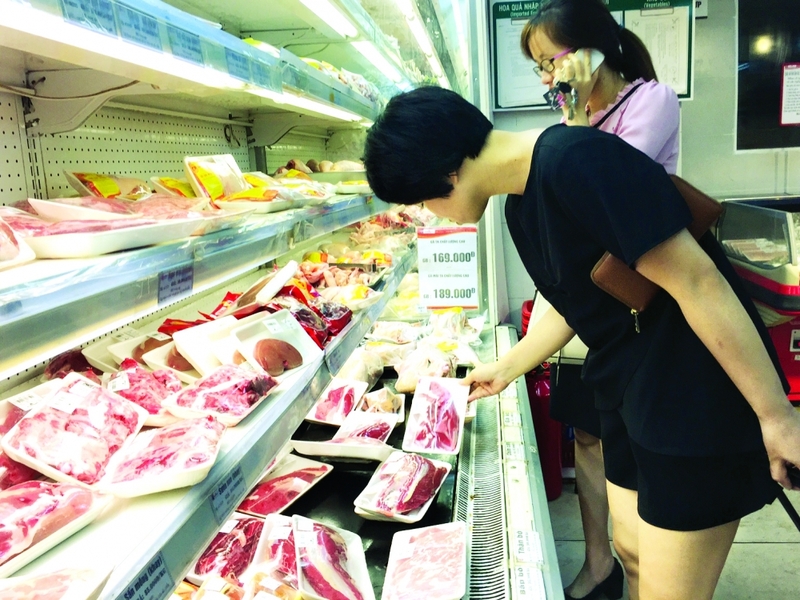 According to the Ministry of Industry and Trade’s Domestic Market Department, after it bottomed in 2017, pork prices increased in January and February, and dropped slightly in March. They then rose sharply in April and May, as many livestock breeding households stopped pig farming, leaving big farms to supply most of the market needs. The increased pork price contributed to higher food costs, which in turn raised the CPI. In addition, the price of petrol, oil and health services increased the CPI. At a recent seminar, Associate Professor, economist Dr. Ngo Tri Long said the CPI is likely to peak in July and fall below four percent or even three percent in the last several months of this year. If the price of health services is kept unchanged from now to yearend, the CPI will not rise too high, Long said. It is necessary to review and balance supply and demand of such commodities as petroleum, food and pork, and properly use price stabilization funds to ensure market stability, Long said. At a regular meeting of the Domestic Market Management Team in June, Nguyen Loc An, Deputy Director of the Domestic Market Department, said the Ministry of Industry and Trade will work with the Ministry of Finance to manage petrol and oil prices in the domestic market on a flexible basis. Meanwhile, the Ministry of Agriculture and Rural Development will continue to review the state of various pork sources in order to take the initiative in preventing product shortages and price increases. an increase in electricity prices, and only adjust educational and medical service prices if absolutely necessary.